AARP Driving Classes for seniors. At various times, the Library hosts both the Driver Safety Course (8 hours) and the Refresher Course (4 hours). Watch the calendar for specific dates. 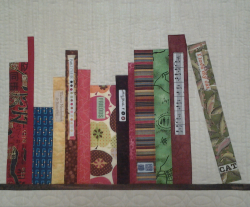 The Ambler Book club meets at 2:30 pm on the 2nd THURSDAY of the month. Everyone Welcome! Come for as many or as few sessions as you like. Kathleen Edwards presents: The Ambler Beading Group. Meets 1st and 3rd Mondays at 1 PM at Ambler Branch. Come to work on your beading projects and see what others are doing. This group is not a "how-to" class. Please bring your projects and supplies to work on independently. The Ambler & Blue Bell Libraries provide FREE BLOOD PRESSURE CHECKS on occasion. Abington Health sends a registered nurse from their Community Health Outreach Dept. Please check the monthly calendar for specific dates. 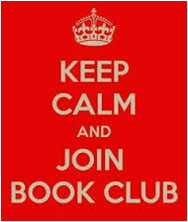 The Blue Bell Book Club meets on the 1st Wednesday of the month at 10 am. Come for any or all discussions. Meet in the conference room. Looking for a book club? Join us for a lively discussion and meet new friends. New tables of bridge are forming now. Weekly games on Fridays at noon. We have new friendly folks looking to make more tables. Join Kellie Burnett for weekly classes. This class is for people at all levels of yoga. -Improved proprioception, which is a skill of knowing where your body is in space, and coordinating your movements accurately. This is particularly important in preventing falls, since we are approaching winter time. For people with any disabilities or conditions, it may mean having greater control of your body and its movements. -Reduction of stress and improvement of mental clarity. -Opportunities to meet and socialize. -Improved stress and pain management. $35 for 8-week session; $8 per drop in. The Chess Club at Blue Bell meets weekly at Blue Bell on Wednesdays at 7 pm. Must already know how to play at any level. Children who want to play chess are welcome; however a parent must stay with the child.